Any comments on ‘Lisp in Small Pieces’ Tony? Not a book I’ve come across, though I’ve read (most of) SICP. This book covers Lisp, Scheme and other related dialects, their interpretation, semantics and compilation. 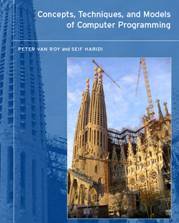 To sum it up in a few figures: 500 pages, 11 chapters, 11 interpreters and 2 compilers. If you haven’t finished SICP, then you won’t want this book. If you’re looking for resources for learning Scheme, there’s a list at http://community.schemewiki.org/?category-texts that might help.